A blue footed boobie patiently waits on top of a rock. 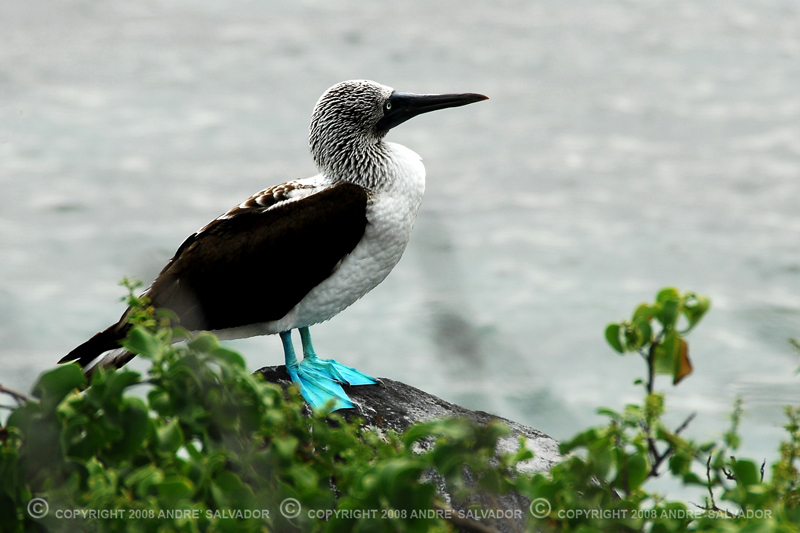 The smallest booby grows to be 28 in (71 cm) long with a wingspan of 4-½ ft (1.37 m). Most of the Red-Foots are all brown with the exception of red legs and feet and a light blue bill with a red base. A small percent of the red-foots are mistaken for masked boobies with white heads, bodies and wings, red feet and legs, and blue beaks.